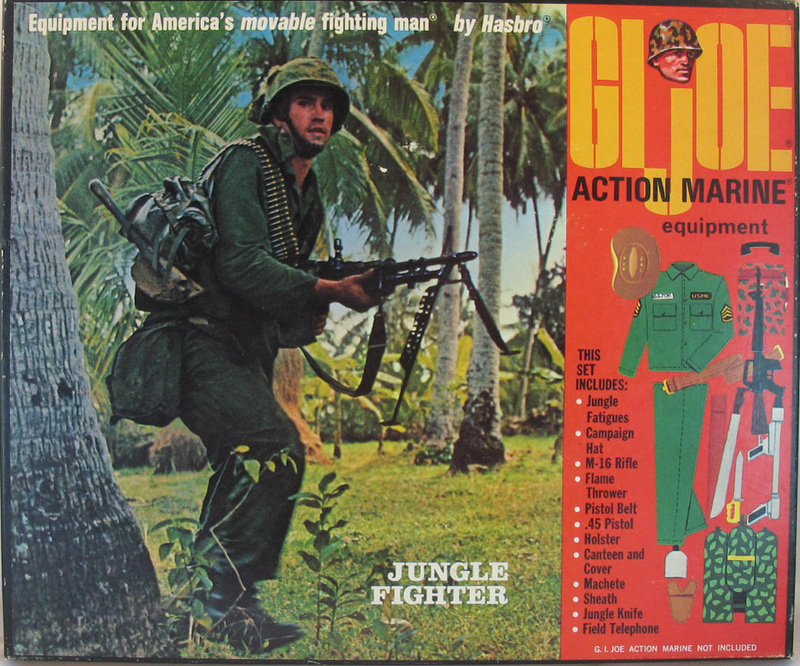 The Marine Jungle Fighter (7732) is very popular with collectors. 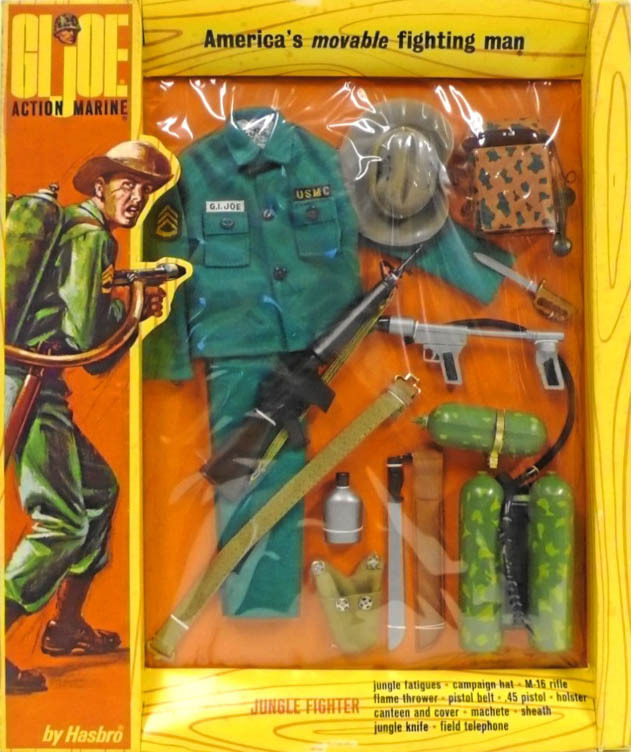 It has a great selection of equipment, some of which first appeared in the Australian Jungle Fighter set the year before. The uniform has some nicely detailed patches, and is a rich green shade that easily fades and runs, so never try to wash a MJF outfit. One oddity: although the boxes say there is a pistol and holster included in the set, they have not been seen in sealed packages, so it appears Hasbro made a change. There is an extant prototype that says 'US Army' rather than USMC over the pocket. If anyone has one they can share here, contact me. The photo box as issued in 1968, above . One rare variation may be a prototype of the set. The uniform can occasionally be found with US ARMY instead of USMC on the stripe over the pocket. Note also that the stripes are a stick-on version. This example courtesy of Joezeta. See his ebay auctions here.